Britain's sugar tax on soft drinks came into effect today, a move that will lead to some higher prices as the country seeks to battle childhood obesity. 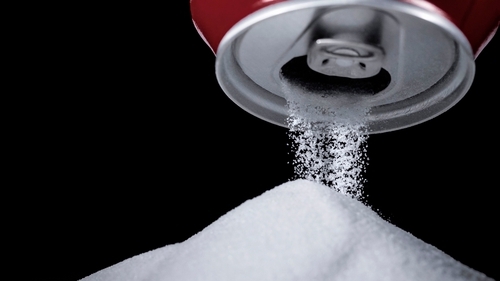 The tax, announced in March 2016, has already cut sugar content in drinks by 45 million kg per year, Britain's Treasury said, as over 50% of manufacturers have reformulated their products to be below the levy's sugar threshold. "Our teenagers consume nearly a bathtub of sugary drinks each year on average, fuelling a worrying obesity trend in this country," Public Health Minister Steve Brine said. "The soft drinks industry levy is ground-breaking policy that will help to reduce sugar intake, whilst funding sports programmes and nutritious breakfast clubs for children." Because of the reformulations, the UK Treasury now expects the levy to raise only about £240 million in its first year, less than half of its prior forecast of £520 million. Soft drink makers including Coca-Cola, Britvic, and Lucozade Ribena Suntory have reformulated drinks, though Coca-Cola Classic, the nation's top-selling branded soft drink, is subject to the tax. Retailers Tesco, Asda, and Morrisons, have also reformulated their own-label fizzy drinks to be below the levy's threshold. Ireland had been due to introduce its own sugar tax to coincide with Britain's, however this was deferred late last month while the Department of Finance ensures it does not infringe EU law on state aid. The tax is now slated to come into effect here from the start of May, though professional services firm Deloitte has said this still is not enough time for companies to properly prepare for its introduction.